I am still thinking about getting X-Plane 10. 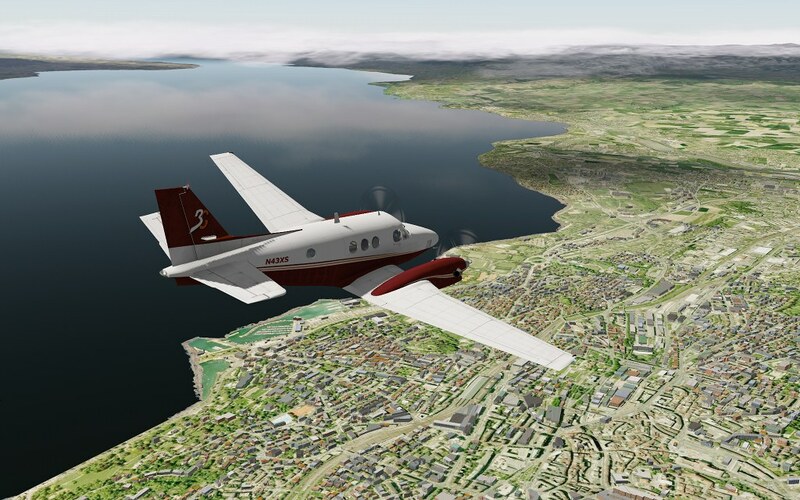 One question that came to my mind - is XPlane 10 able to display the OSM autogen on top of photo scenery? (Could I get e.g. the UK photo scenery for ground textures and have the autogen displayed on top). Of course it won't match exactly, but I would expect the rough autogen distribution might be not too bad. Probably, but photoscenery must be build specifically for XP10. I use scenery created with G2Xpl in v9, and autogen is v9. Above photo scenery I recommend generating roads and railroads generated with XPOSM (see here http://forums.x-plan...s&showfile=7264 ). It is also great to have the forests by Andras Fabian (see http://www.alpilotx.net/ ). For your information Andras has done the same job for X-Plane 10 Global Scenery but if you are using x-plane 9 photo scenery you will not see it. All this should fit the photo scenery textures. And to answer to Manuel, yes you can add the OSM2XP scenery to add buildings to the UK photosceneries. If the photoscenery has been correctly done (and it seems to) buildings should match your pictures.